Mass Effect Lead Writer Working On Anthem | Nerd Much? It’s the EA shuffle! Everyday I’m shuffling! Were you wondering if maybe Mass Effect‘s best writers were shuffled by EA to the new IP, previously known as Dylan? Well, maybe you’re right! When a fan asked lead Mass Effect writer Draw Karpyshyn if he was working on Anthem too, Karpyshyn confirmed that he is. Nothing else was given away, of course, as is usual for BioWare. To be clear, Karpyshyn has worked with BioWare for 12 years now, it’s likely that he’s had a hand in nearly every project coming out of that studio. Officially, he’s been a designer, writer, or both since Baldur’s Gate, all the way up to Mass Effect 2. He took a break for a few years, in which Mass Effect 3 and Andromeda happened, and came back in 2015. The writer initially claimed back then that he would be working on The Old Republic, before revealing the new IP a while later. Karpyshyn’s involvement certainly gives hope to those that are expecting that Anthem only has exo-suits in common with other sci-fi games like Titanfall and Halo. 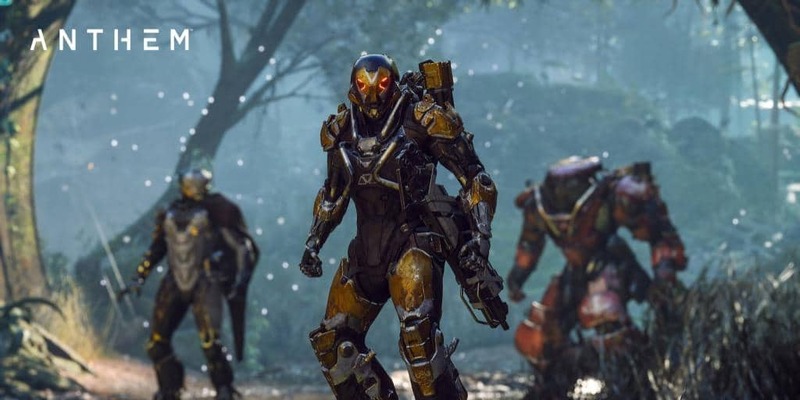 That said, we still don’t have much in the way of details concerning the upcoming game, but perhaps with Karpyshyn’s writing, Anthem will be another great title from the usually great studio.